Family and Personal Leave provides you with stability when you need it most, in some cases offering paid time off as well as ensuring your job will still be waiting for you when you return. In the animation industry, you may have access to family and personal leave from four different sources: 1) Your employer’s individual family leave policies; 2) The Animation Guild Master Agreement; 3) State law, and; 4) Federal law. Employers are permitted and encouraged to provide the most robust family and personal leave benefits possible to their employees. We recommend all Guild members reach out to their employer’s HR department to see what benefits are offered beyond what is provided through the Animation Guild Agreement and applicable laws. 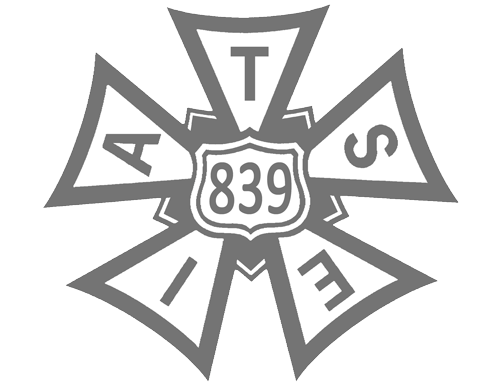 The 2018-2021 Animation Guild Master Agreement added Article 27, providing Parental Leave to any employee working under a Personal Service Contract that guarantees at least 26 weeks of employment. If you qualify, you are entitled to up to eight consecutive weeks of unpaid leave, after which you will be reinstated to your original position, so long as that position still exists at the end of your leave. Your producer can require you to use accrued vacation days prior to taking unpaid leave; however, the total amount of leave provided under this article will not be more than eight consecutive weeks. Under the federal Family and Medical Leave Act (FMLA), any employer who has at least 50 employees in a 75 mile radius of the work site must provide up to 12 weeks of unpaid, job-protected leave to bond with a new child, care for an immediate family member with a serious health condition, or tend to your own serious health condition (which may include pregnancy). In order to qualify, you must have been an employee for at least 12 months in total and have worked at least 1,250 hours over the last 12 months. Under the California Family Rights Act (CFRA), you and your spouse or registered domestic partner may have family and personal leave and rights. Any employer who has at least 50 employees in a 75 mile radius of the work site must provide up to 12 weeks of job-protected leave to bond with a new child, care for an immediate family member with a serious health condition, or tend to your own serious health condition. In order to qualify, you must have been an employee for at least 12 months in total and have worked at least 1,250 hours over the last 12 months. The California New Parent Leave Act (NPLA) applies to any employer who has at least 20 employees. To qualify for up to 12 weeks of job-protected leave, you must have been an employee for at least 12 months and have worked at least 1,250 hours. The California Pregnancy Disability Law (PDL) allows up to four months of job-protected leave if you are disabled due to pregnancy, childbirth, or a related condition. This length of time is determined by a healthcare provider and applies to any employer who has at least five employees. PDL leave may be used in addition to CFRA or NPLA leave. Unlike the aforementioned rights, the PDL only applies to the pregnant parent. The California Fair Employment and Housing Act (FEHA) prohibits discrimination due to pregnancy, childbirth, or breastfeeding. This act also protects your right to reasonable pregnancy accommodation in your workplace as recommended by a healthcare provider, and provides job protection while you use disability leave for pregnancy, childbirth, or a related health condition. In addition, California Paid Family Leave (PFL) and State Disability Insurance (SDI) may provide partial income replacement during your family or personal leave of up to six weeks for PFL and six to eight weeks for SDI, or more when SDI is combined with PDL. To qualify, you must have earned at least $300 in the last five to 18 months from which SDI deductions were withheld. To confirm eligibility, look for the CA SDI tax deduction on your paystubs. If you have any questions regarding Family Leave, or have any issues receiving the family leave to which you are entitled, please email the Animation Guild office for assistance or call at 818-845-7500; the California Department of Fair Employment and Housing (CFRA, NPLA, PDL, FEHA) at 1-800-884-1684 ; the California Employee Development Department PFL Program at 1-877-238-4373; SDI at 1-800-480-3287; or the Department of Labor (FMLA) at 1-866-487-2365. Are you interested in advocating for supporting workplace benefits at every studio? Consider joining the Family & Personal Leave Subcommittee, comprised of volunteer members of The Animation Guild (TAG). Email for more information.